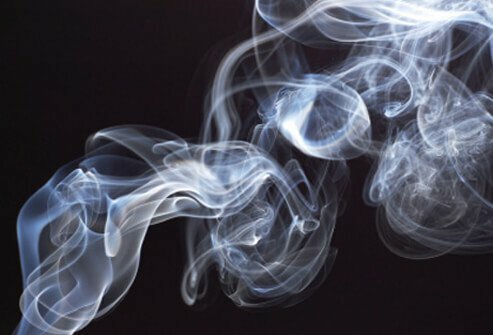 Secondhand smoke (also called environmental tobacco smoke, involuntary smoke, and passive smoke) is the combination of tobacco smoke and exhaled smoke from the smoker. Nonsmokers can inhale secondhand smoke, exposing themselves to the same chemicals, such as nicotine and carbon monoxide, as the smoker. Secondhand smoke exposure puts children at risk for health problems including severe asthma, breathing problems, and ear infections. Babies born to mothers who inhaled secondhand smoke are often lower birth weight and are more likely to die from SIDS (sudden infant death syndrome). Chemicals in cigarette smoke are also passed through breast milk. The most common source of secondhand smoke is cigarette smoke. Cigars and pipes are also a source. Secondhand smoke can occur anywhere, at home, at work, and in public spaces. More than 7,000 different chemicals have been identified in secondhand smoke. 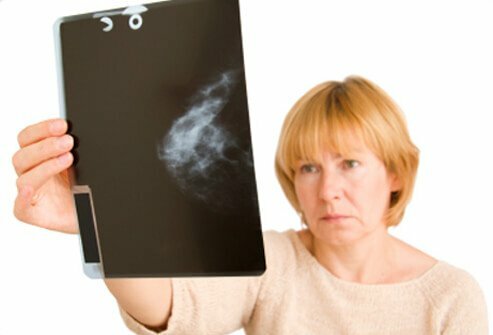 Of those, 250 have been identified as harmful, and 69 of those are known to cause cancer (carcinogenic). Some of the toxic chemicals include arsenic, benzene, the toxic metal beryllium, cadmium, ethylene oxide, formaldehyde, tolulene, and vinyl chloride. 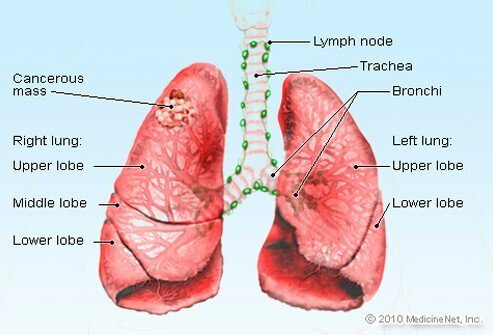 Secondhand smoke causes cancer. 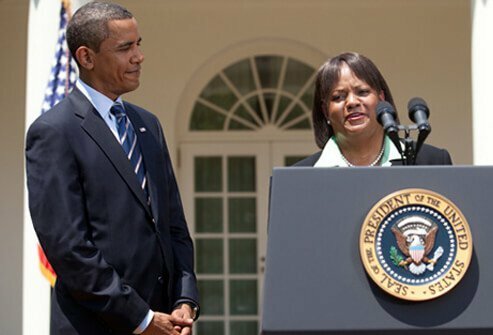 The U.S. Environmental Protection Agency, the U.S. National Toxicology Program, the U.S. Surgeon General, and the International Agency for Research on Cancer have all classified secondhand smoke as a known human carcinogen (a cancer-causing agent). 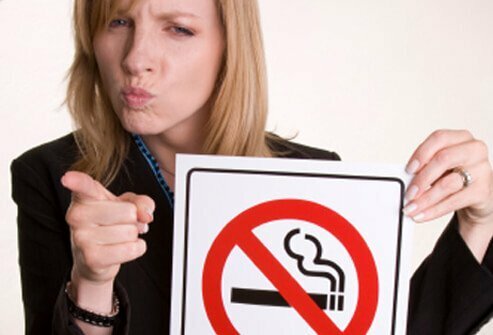 In addition to cancer, secondhand smoke causes serious cardiovascular and respiratory diseases, and other illnesses. 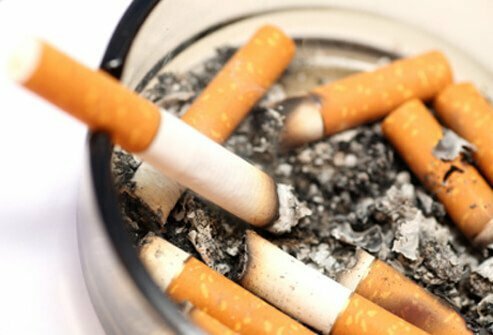 Living with a smoker and inhaling secondhand smoke can increase the risk of developing lung cancer by 20% to 30%, according to the U.S. Surgeon general. There are approximately 3,000 lung cancer deaths in adult nonsmokers that result from exposure to secondhand smoke. Inhaling secondhand smoke can harm the cardiovascular system and can increase the risk for heart attack, particularly in those who already have heart disease. 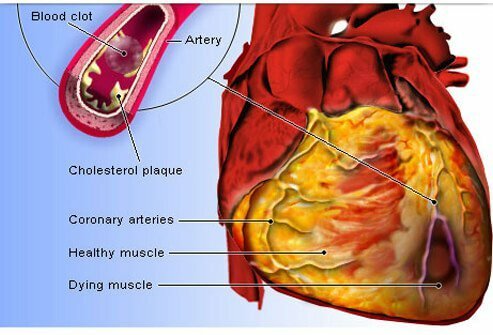 Nonsmokers exposed to secondhand smoke have a 25-30% higher risk of developing heart disease. Exposure to secondhand smoke causes an estimated 46,000 heart disease deaths each year. Risk of stroke is increased as well when secondhand smoke is inhaled. Secondhand smoke can irritate the lungs and can cause respiratory illnesses and breathing difficulties. Cough, chest congestion (phlegm), wheezing, shortness of breath, and even decreased lung function are all traceable to secondhand smoke exposure. In the U.S., among children 18 months and younger, secondhand smoke exposure is responsible for 150,000 to 300,000 cases of bronchitis and pneumonia, and 7,500 to 15,000 hospitalizations each year. 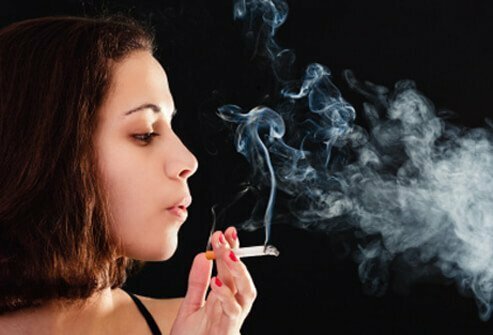 In addition to serious reparatory infections children who are exposed to secondhand smoke are at higher risk for ear infections, have fluid in their ears more often, and more frequently need operations to put in ear tubes for drainage. In children with asthma, even a small exposure to secondhand can trigger an asthma attack. Babies born to mothers who inhaled secondhand smoke are often lower birth weight and are more likely to die from SIDS (sudden infant death syndrome). Secondhand smoke is thought to possibly increase the risk of breast cancer. Research is still underway, and results have been mixed. Because secondhand smoke contains known carcinogens this may account for the increased risk. There is no safe level of secondhand smoke. 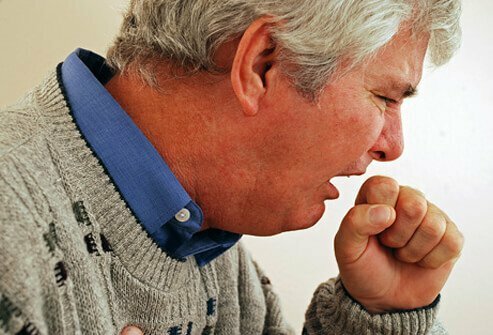 Even inhaling small amounts can be harmful, and extensive or long-term exposure increases the risk of medical problems. Avoiding secondhand smoke is the best way to reduce health risk. The U.S. Department of Health and Human Services Healthy People 2020 is a nationwide initiative aimed at reducing illness and death related to smoking and secondhand smoke. For more information on Healthy People 2020 visit http://www.healthypeople.gov/. If you smoke, quit. Your family and friends will no longer be exposed to your secondhand smoke if you are not smoking. Find support at smokefree.gov. Avoid secondhand smoke to protect yourself from the health risks associated with inhaling it. If you don't smoke, don't allow others to smoke in your home or car. Make sure smoking restrictions are enforced where you work such as proper ventilation and smoking areas at least 25 feet away from entrances. 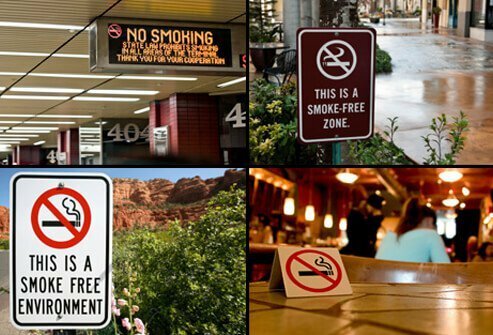 Find smoke-free bars and restaurants, and let the owners know that you come there because they are smoke-free. 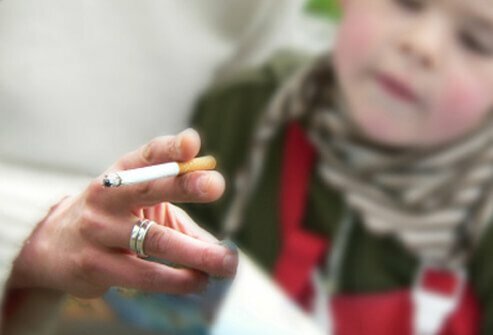 Don't allow anyone who is smoking near your child, as children are particularly vulnerable to the effects of passive smoke. Thirdhand smoke is a recent term that refers to the smoke residue that is left behind after being around people who are smoking. The smell in your clothes, curtains, carpet, furniture, and other items has an odor because of the tobacco toxins that remain. These toxins can be absorbed through the skin and mucus membranes of non-smokers, particularly infants and children. To prevent thirdhand smoke, you need to prevent secondhand smoke. American Academy of Pediatrics: "'Thirdhand Smoke' Exposure Another Threat to Children." Centers for Disease Control and Prevention: "Secondhand Smoke." 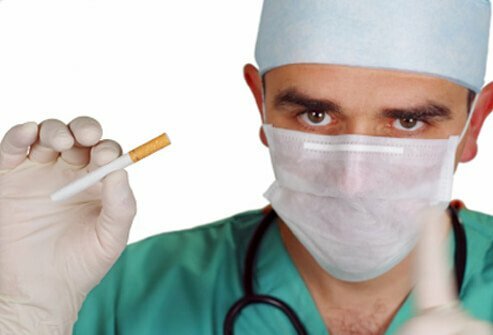 Surgeon General: "The Health Consequences of Involuntary Exposure to Tobacco Smoke."